I love breakfast, don’t you? It’s one of the first things I ever taught myself to make back in middle school (if not earlier), and it was the eggs that I started to master. I still lean towards making eggs when I make breakfast for myself or for my family. Weekends are the best time for me to teach my kids how to make things like sausage egg mcmuffins or homemade egg mcmuffins, but recently I was sitting on some awesome leftover Nueske’s ham steak, and some fresh green bell peppers from my garden. This is when the light went off, to come up with a new twist on the Denver omelette. 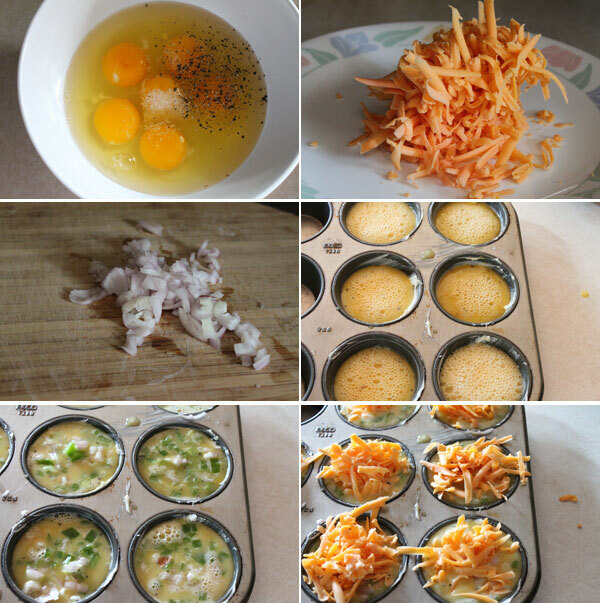 I decided to create little Denver omelette cups, very similar to what I did in the past when making my taco cups. These Denver omelette cups were so fun to make, and super delicious. Did I mention they were awesome the following morning? Crack the eggs in a large bowl. Add the salt and pepper to the eggs, and beat the eggs until they are slightly frothy. Lightly butter about 8 of your muffin tins. Ladle the eggs into 8 of the tins, about 90% to the top. Add in the shallots, ham, and bell peppers into each of the cups. Gently stir each cup. Top each cup with shredded cheese. Bake in the oven for about 20 minutes, or until the eggs are set and the cheese is nice and melted. 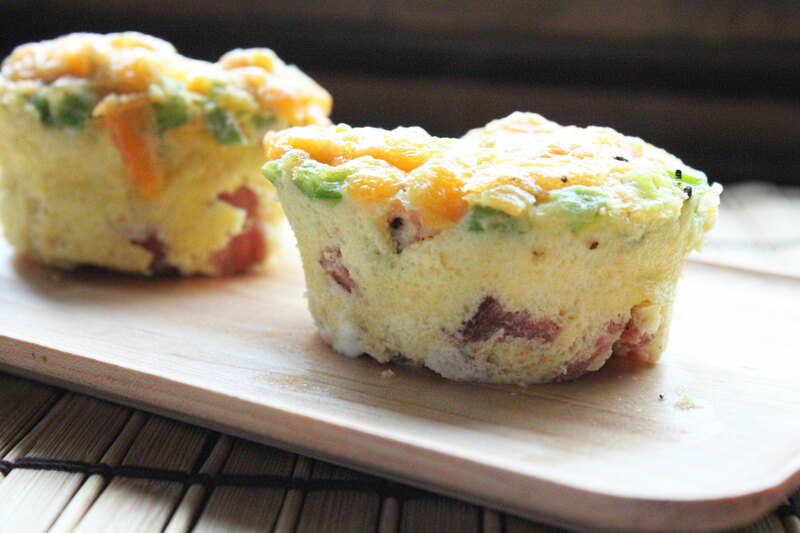 Use a knife and run it along the outer edge of each cup and gently lift the Denver omelette cup out of the muffin tin. These things were awesome. They were everything you could ever want in a Denver omelette but in great little bite size muffins. The great thing is that you can get as creative as you want with these which I am a big fan of. These were great as leftovers as well and perfect for a quick bite before heading out the door for work. Hope you enjoy!